What did you do before joining the PlayStack group? I’ve spent most of my career in banking, most recently at Credit Suisse. I left about 18 months ago looking for something new and exciting. I’ve always loved playing games but never thought I’d end up working in such an exciting industry. That’s quite a change, so which games are taking up your time at the moment? I’m obsessed with Basketball by Ketchapp and 1010! By Gram. I like simple games I can play on the tube and I’m hooked on both. I love watching live sports. Now my kids are at an age where they love it too, we go to watch Spurs and Saracens as much as possible! I also love exercising so I do a mix of spinning, running, and yoga whenever I can. I also eat a lot... of everything! What do you hope to achieve with PlayIgnite? We want to help studios with great games to scale. Many studios make awesome games but just can’t fund their user acquisition, and we want to be their one-stop solution. We can solve so many cash flow headaches for developers, so the more we help, the better. You’ve been to a lot of events in the UK and abroad recently, which gaming event have you enjoyed most? I loved GDC. Beforehand there was so much hype, and having been to many other events in Europe, I couldn’t imagine how it could be so much bigger. But it basically takes over an entire chunk of San Francisco, and everywhere you went, it was about gaming. There was such a buzz, next year I definitely need to go for longer. There must be people at those events that aren’t particularly well informed on what you offer, how do you explain PlayIgnite to people who know nothing about finance? In its simplest form, PlayIgnite is here to find ways to help studios grow their games. It’s one thing building a great game, but launching it and acquiring customers is another. The key is to do it profitably i.e. can you make more revenue from a user than the cost of getting them to install the game? If you can, then you should absolutely be spending to grow, and find more users like that. We provide the money to give you the ability to acquire those users. What do you do differently that makes PlayIgnite stand out from its competitors? 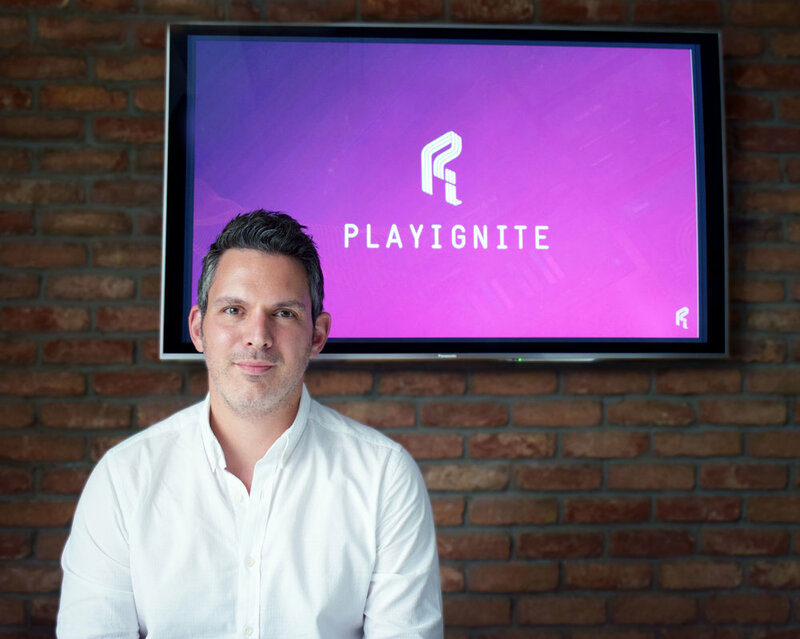 I spent 18 months, after Credit Suisse, looking at different industries, and financing platforms, and PlayIgnite really resonated with me. There isn’t anyone lending to games studios in such a systematic, data driven way, where the sole focus is on helping them scale. What's more, the collaboration across the PlayStack family means I have seriously talented games people to help me with all my stupid questions! My role is different every day, which is what I love. Mainly, I'm focused on meeting studios, and working out how we can help them with their UA goals. Other times, I'm at conferences, events, giving presentations or meeting different analytics companies or vendors who we can partner with. I also spend a lot of time with our excellent marketing and technology teams working on our Dashboard, website and marketing strategy. So how important really is an effective UA strategy in a games success? There are different definitions of success, but if you want to maximise revenues and/or to get up the global charts, then a good UA strategy is absolutely key. Some can rely on features, or a viral effect, but that's getting harder and harder to come by. Navigating the ad networks, the different marketing channels and assessing your ROI to get the best results, is a mix of science and skill. One thing I’d say is it’s a full time job, and its constantly evolving and changing, but if done well, can be game changing. What are your expectations for PlayIgnite in the next 5 years? We have big, exciting plans. We are applying for a US license this year, and want to help as many studios across the country as we can. We also want to have our own in house UA team, so as well as offering funding, we can offer UA services to our clients. Next year will be about expanding all over Europe and beyond. On a 5 year view, we would like to be truly global with offices overseas. So we know what you get up to in your work week, but what’s your perfect Sunday? Breakfast with the kids, an exercise session in the park, a huge pub lunch, a big walk with the family, then watch a game of rugby or football - preferably at the ground. At 8pm, I’ll always be found on the couch, watching a gritty box set with my wife - and several bars of chocolate! And what is the Airspeed Velocity of an Unladen Swallow? That depends. An African or a European swallow? Matt will be at Game Republic, Leeds on the 3rd May.